You don’t have Microsoft Word installed on your computer and you have just received a docx file. What to do? If you don’t want to install Microsoft Word on your computer or your device doesn’t support it, there is a way to convert Docx to PDF without Word. Even if you don’t have any MS Word alternative, you can use this Docx to PDF Converter to save your file as PDF. It works on any device: a desktop computer, a laptop, mobile phone or tablet. Whether you are using Windows, Mac or Linux, you can convert docx to PDF in a few steps. Drag and drop docx file if you have previously downloaded to your computer or mobile. If the docx file you want to open is stored in the cloud, click on Dropbox or Google Drive option, and import docx file from there. The docx file will automatically start to convert to PDF, as soon as you import it. When the file is converted to PDF, you will see the download button. That’s it! There are no limits on the number of conversions, but you cannot convert multiple files at once. 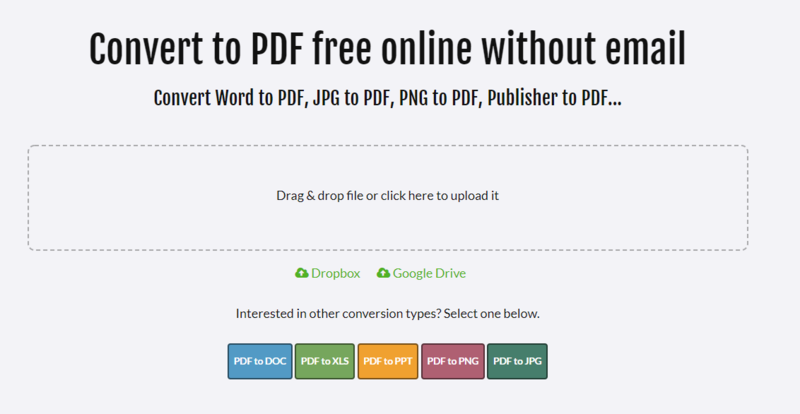 This Docx to PDF Converter is 100% free, secure and without ads. Next time someone sends you a docx file, you can use this tool to convert the file to PDF without having Word on your computer.